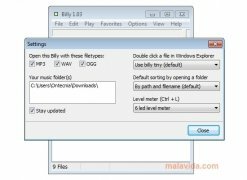 Billy is a very light audio player that accomplishes it main function perfectly: to play your favorite MP3 songs playlist without any delay. 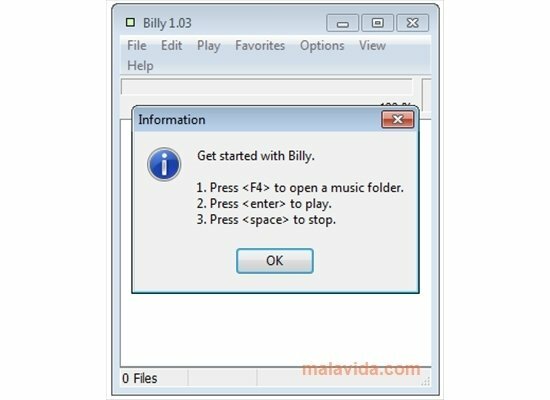 The interface used by Billy is sober and discreet, and it only has the strictly necessary options to play your music. 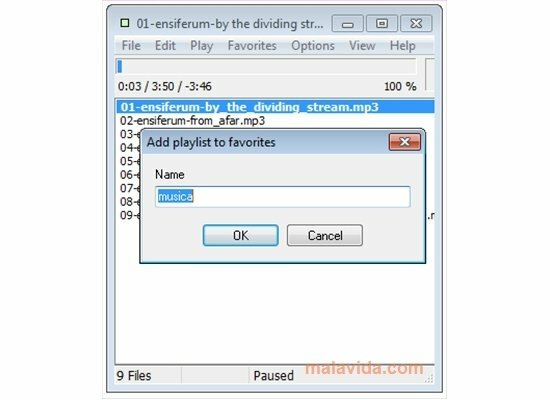 To start using the program it will only be necessary to indicate the folder in which you have your audio files stored and pressing play. The audio formats supported by the application are MP3, OGG and WAV. 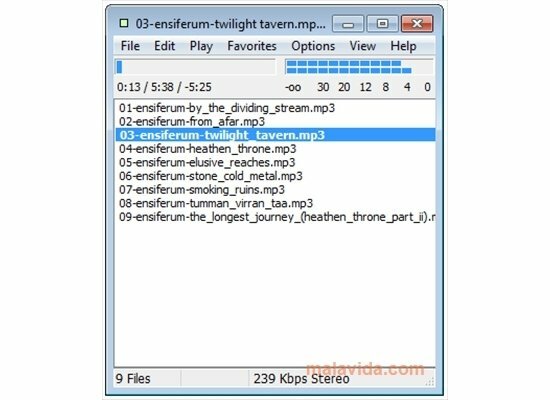 In what regards to the functions that it offers you will find: creation of playlist with your favorite songs, selection of different criteria to order the files and selecting the action to play when we double click on any music files from the Windows Explorer. Thus it is the perfect application to be used on computer with little power or in situation in which the use of computer resources is a very important factor to take into account like, for example, when using our work PC. 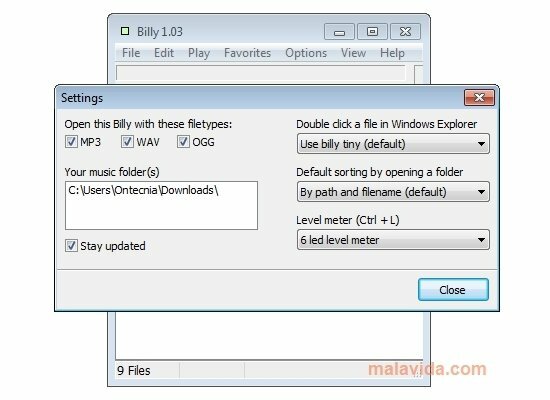 If you are looking for a program with a nice interface and that has many options (skins, tag editing,...) keep on looking, if not, Billy is really worth considering, because it may be the perfect application for you.